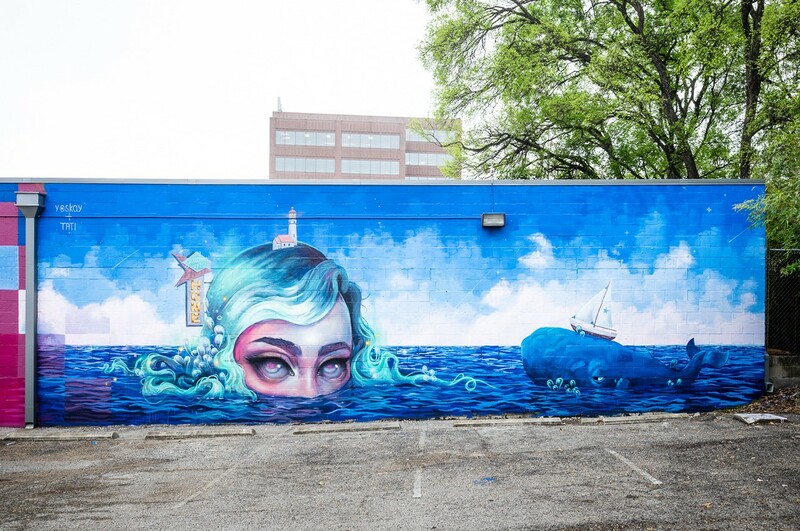 Mural by Tatiana Suarez and Yoskay Yamamoto in Austin, Texas for POW! WOW! SXSW.